Have been a busy bee lately but more of that to come soon. This week's dish is a homemade delight. A few months ago, at a dinner party, I was introduced to frozen berries and hot melted white chocolate for dessert by the lovely Emilia. Recently, I've been having a craving for frozen berries so I thought I would have a go myself. I ended up freezing some natural yoghurt, strawberries and blueberries and this is the result. 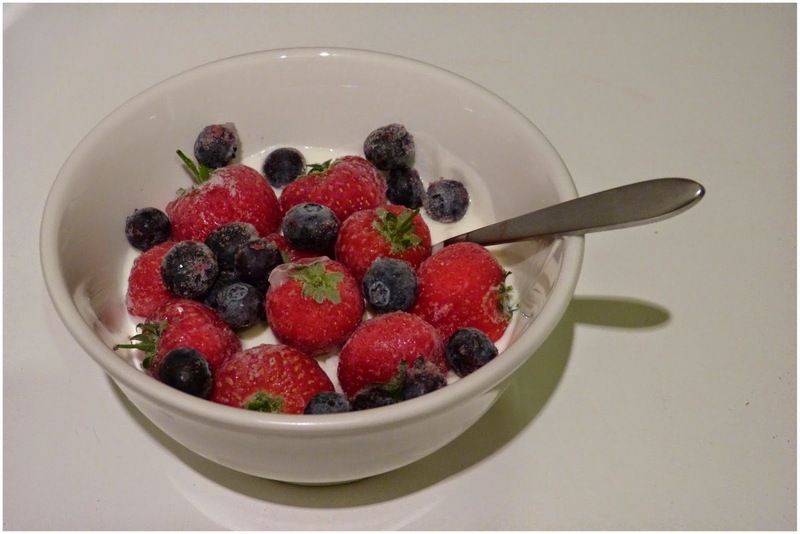 A yummy, cooling, refreshing and healthy dessert or snack. If you're feeling naughty, go ahead and add that warm melted chocolate - you deserve it!